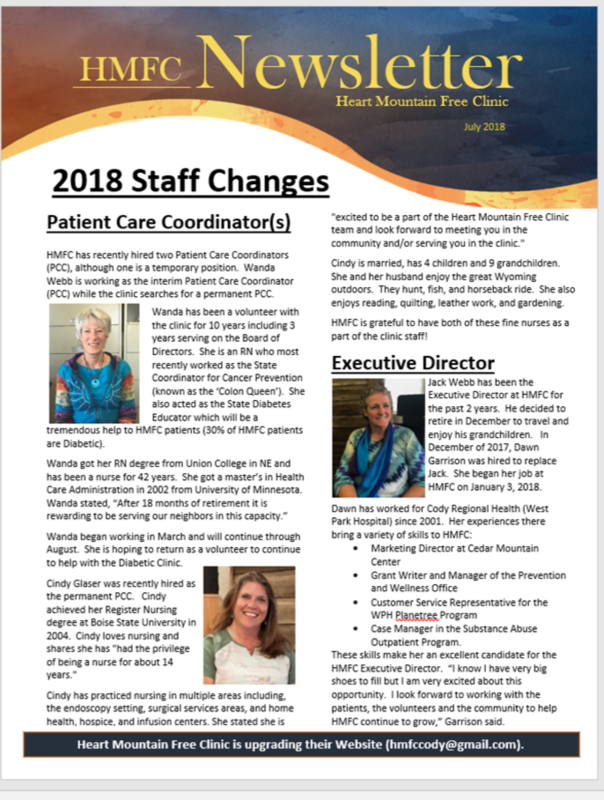 This page will provide important updates about our free community health center services; volunteer and donor spotlights; health articles of interest, and upcoming events. 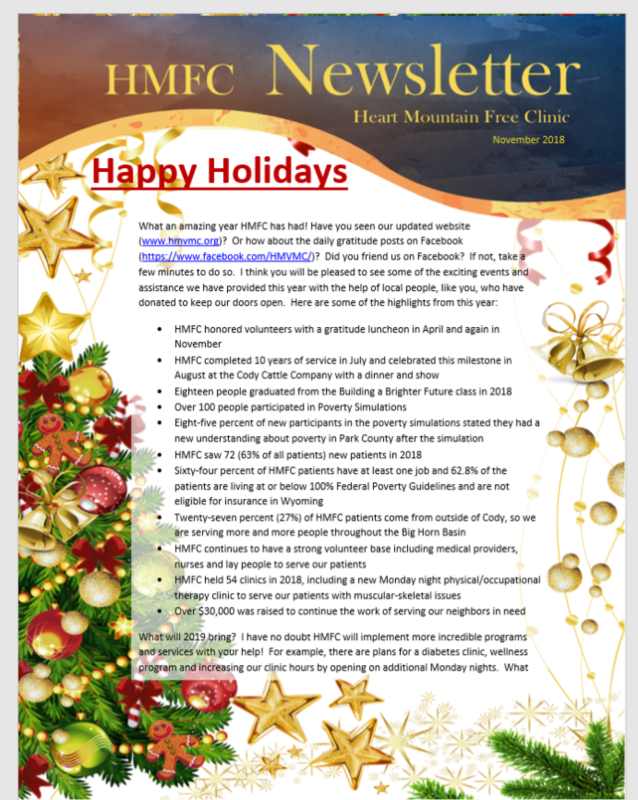 The Holiday Newsletter is out! Download and enjoy. A copy of the newsletter can be downloaded here. The Summer Newsletter is available! Download and learn about all the new programs at HMFC. A copy of the newsletter can be downloaded here. The HMFC Board of Directors and Staff are pleased to share the story of their 2017 Progress. A copy of the report can be downloaded here. A new brochure outlining HMFC Services is available. If your organization needs color copies printed call 307-272-1753 to order. We will be happy to print and bring you copies. A copy of the brochure can be also be downloaded here. Check out the lastest thank you's/gratitudes on our Facebook page. 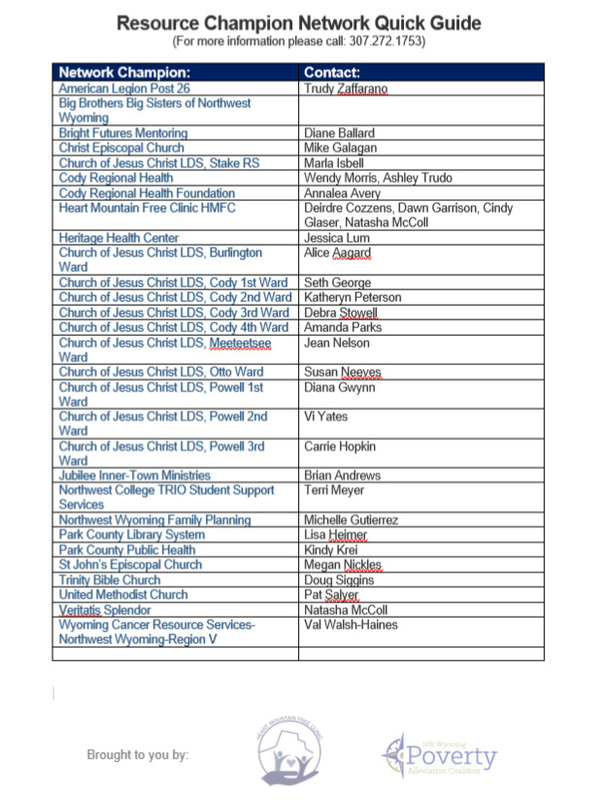 This Network Guide provides information on the agencies/organizations that are currently champion's in the Park County system. These are the places people can go to get the services they need.